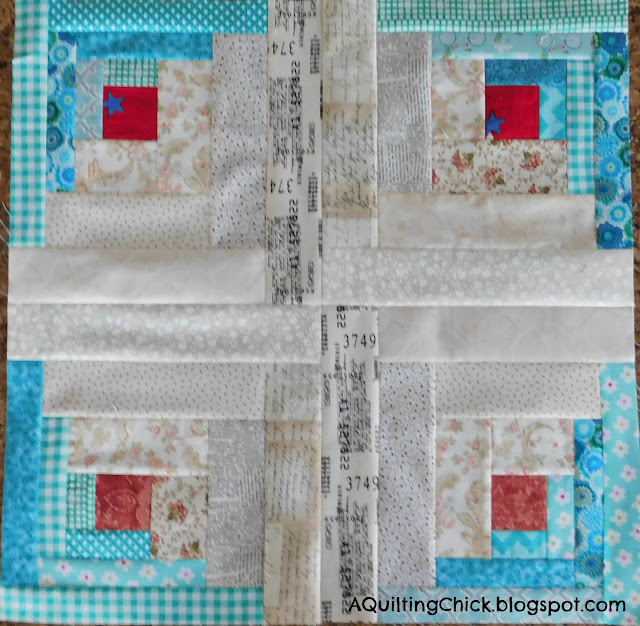 A Quilting Chick: Starting January with a Bang! Starting January with a Bang! That finished up the blocks for the RSC15 curved log cabins. I have them joined together now and just need to add borders. Maybe I'll have it done by the weekend. It would be very easy to catch up if you want to play along! Glad to be back here and will share more this week! 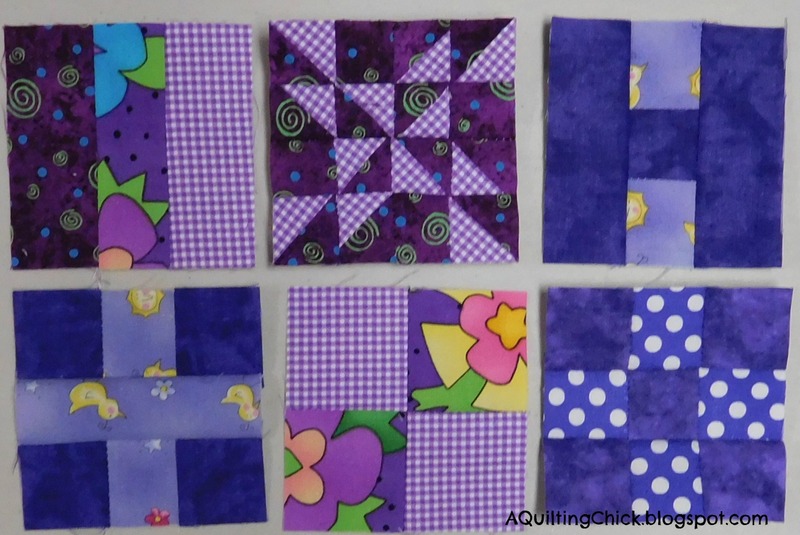 Linking up today with Fabric Tuesday at Quilt Story, Freemotion by the River for Linky Tuesday, and Sew Cute Tuesday at Blossom Heart Quilts. Oh my goodness, I was just looking at the curved log cabin blocks in my closet! I did 4 blocks last year and I want to start them up again. Yours are so pretty - I'll look forward to seeing your finish. Well hello girl! There you go again making big plans! 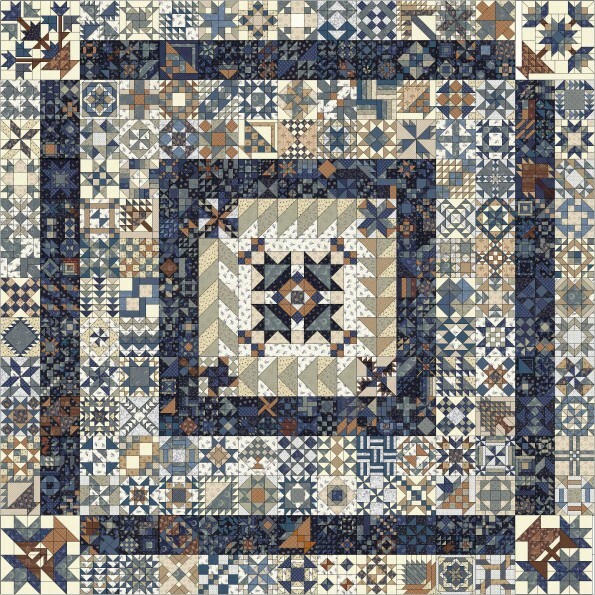 That quilt you got yourself into will be gorgeous! It reminds me of a Dear Jane so I know how much work that will be. 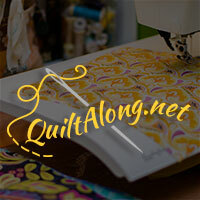 Good luck with all your quilty endeavors. Thanks so much for posting your 365 Challenge blocks early. I've been having a very hard time choosing fabric for that, while sticking with another goal: use the stash. I see where you deviated a bit from her dark dark versus medium dark, etc., yet your blocks have great contrast and coordination at the same time. Now my stash will work. Thank you for the inspiration! Wish you a very happy new year, Cathy. Love your curved log cabins. And Congratulations on the teaching gig. That is definitely my ambition - someday. You are starting off with a bang. 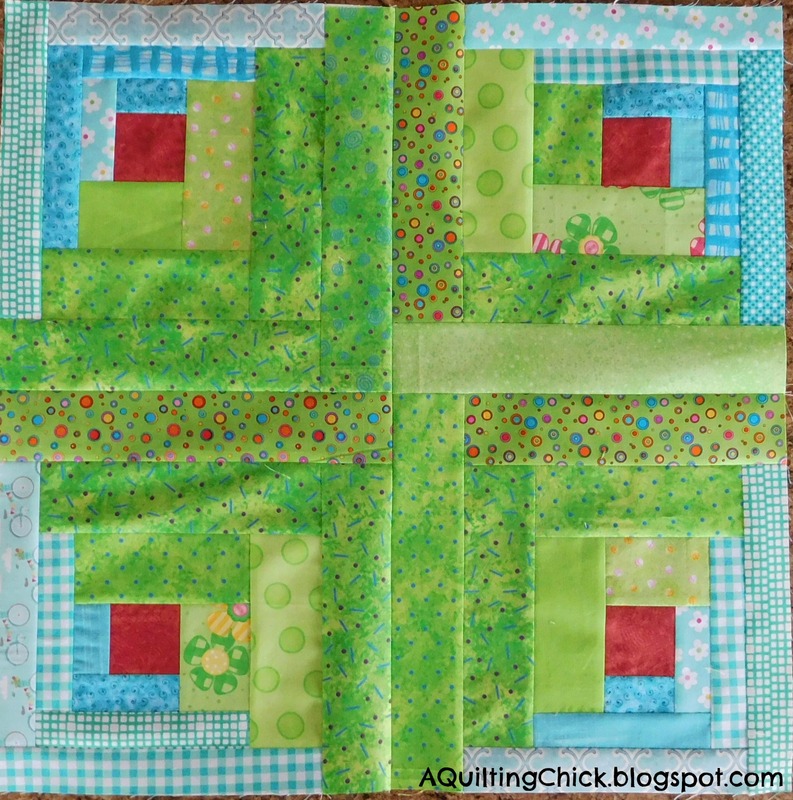 Those cute little 3.5 inch blocks sure would use up A LOT of tiny scraps. If only I didn't have SO MANY projects going on. Love your colors! 365 blocks sure is a challenge! But what a beauty you'll have at the finish. Stunning! Your curved log cabin blocks look great. 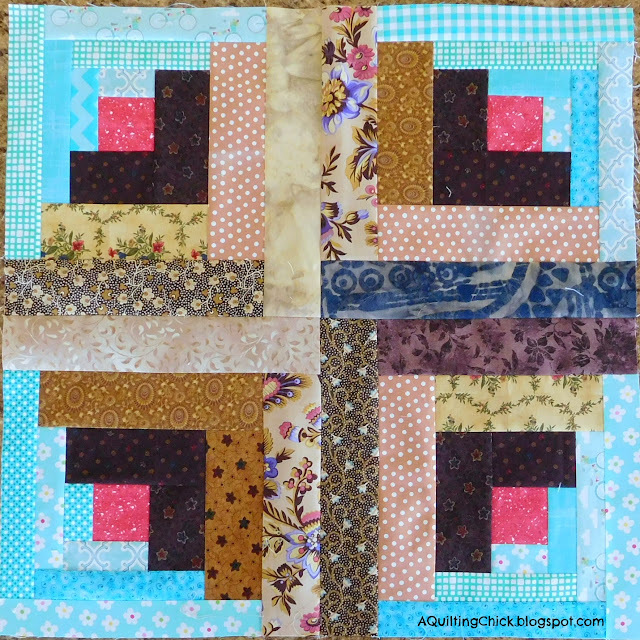 Looking forward to seeing the finished quilt. The 365 quilt is going to be spectacular based on your start. Enjoy the journey with that one.